Thom and Jerry are bitter enemies! Jerry can not starve and has to steal food from Thom's owner and Thom, in his turn, dreams to catch and eat Jerry! Help the poor mouse avoid the obstacles on his way in order to escape from Thom! 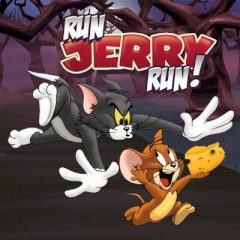 Games Similar Run Jerry Run!